Every penny counts when you have a family. Having that little bit of extra savings can go a long way on a rainy day. That means that major purchases must be carefully planned, thought through and decided upon with a great deal of care and research. In order to help you, the working family man/woman, we’ve taken research from automotive reviewers at Car and Driver, Edmunds, J.D. Power, and Consumer Reports to bring you the best family cars for the money. “If Kia’s competitors didn’t take notice when the company known for cheap transportation released the Soul, Forte and Sorento, they’ll definitely take notice when the Optima starts rolling off dealer lots this fall. It’s got all the goods it needs to go toe-to-toe with segment leaders, and hot looks to boot.” (Motor Trend) The 2011 model is an IIHS Top Safety pick, earning a perfect score of 10 in safety from J.D. Power and U.S News. Reliability is still in question on some of the base models, but the 5-year/60,000-mile basic warranty, as well as the 10-year/100,000-mile powertrain warranty, should set some minds at ease. Kia stays on the list in the crossover segment as well, due in large part to its improved interior quality, tremendous fuel economy for a crossover, and phenomenal crash test scores. Though Consumer Reports did remark negatively about the rear visibility of the Sorento being limited, the NHTSA and IIHS both awarded it Top Safety picks. The interior is largely improved over previous years, but it still can’t be classified as luxurious. However, the cargo space and family conveniences make it well worth the sticker price. 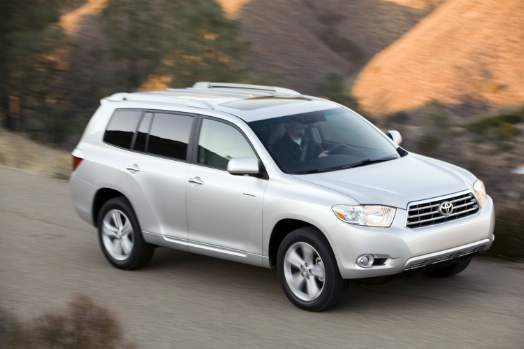 No other large SUV rates as high on its safety and reliability scores as the Toyota Highlander. “Now built exclusively at Toyota’s Princeton, Indiana, factory (the hybrid still comes from Japan), the Highlander V-6 remains a very competent, capable, and well-executed three-row crossover.” (Motor Trend) The interior remains one of Toyota’s best, providing a nice mix of comfort and convenience. Families may find the rear seats hard to move around, but the space provided in both seating and cargo is ample. 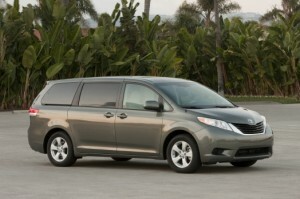 “Simply the best value in minivans today.” (Edmunds) That pretty much says it all for this one. The days of the Dodge Grand Caravan and the Chrysler Town & Country dominating this category are over. The Sienna offers better economy, better safety scores (at least on the 2011 model, the ’12 model is waiting to be tested still), and the most important available feature for families – value. Even at $25K the Sienna is a value when compared to competitors in this segment. The Avant is superb in government safety tests, and it was named an IIHS Top Safety pick. That should cover the family side of things; now let’s get to the good stuff. If you want to keep the two things that parents rarely get to enjoy, luxury and performance, then the A4 Wagon is the perfect family choice for you. If your neighbor starts busting your chops about driving a wagon, add the Sport package and take him/her for a ride in the turbocharged 2.0L grocery-getter. Then give the name of your salesperson. 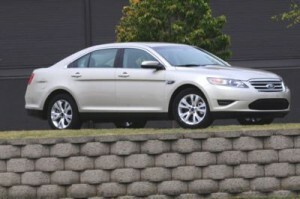 The Taurus is the perfect combination of all the above choices. 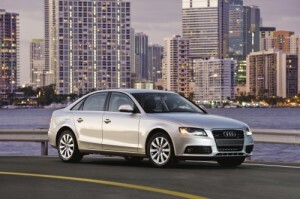 It provides style, power, space, luxury, cargo room, and a modest price for a full-size American sedan. 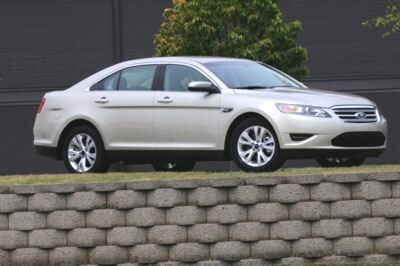 “A thoroughly refined large family sedan embodying the latest in contemporary safety technology, (the Taurus) is attractive inside and out, roomy, solid, and quiet with an exemplary fit and finish.” (Car and Driver) It should be at the top of the list for any family that doesn’t require the extra seating of an SUV or minivan.